We just concluded the Arenas Management Conference in Toronto, and received very positive feedback on the quality of the event. Kudos to Todd Hunt, CFE, the committee chair, and all the committee members for their excellent work. A special thank you goes to our local host, Bob Hunter, CFE, with Maple Leaf Sports & Entertainment, for his support. He and Maple Leaf Sports helped make the event truly special, and their sponsorship contributed to the achievement of our financial goals as well. As to our overall financials, we are tracking slightly behind goal with about a $45K shortfall coming out of VenueConnect, but do expect to make up much of the gap with expense reductions to some of our overhead and operating costs. We are tracking well so far with our upcoming events, and look forward to a successful ICCC and ICMC in the next couple of months. We also see some good news in our pre-sales for next year’s VenueConnect, as we have confirmed $438K in booth sales vs. $387K coming out of last year’s meeting. Karen Totaro, CFE and the VenueConnect Program Planning Committee are already hard at work building an exceptional program in Portland. We have continued to vette the new membership model with the membership committee, and are getting close to a final draft we can share with the board on our conference call in October. The response from membership so far has been extremely positive, and we hope this change will enable us to bring IAVM to more industry professionals than ever before. Last but not least, we have opened the comments period regarding the IAVM Board of Directors’ proposed bylaws changes. See attached for FAQs and a statement from the Chairman of the Board regarding this proposal. Download the complete August 2013 Leadership Report here. Newly-appointed Maple Leafs boss Tim Leiweke delivered a rousing keynote address to open the Arena Management Conference here Monday, warning the capacity crowd that failure to confront the challenges facing the entertainment industry could have devastating consequences. “The only difference between a rut and a grave is the size of the hole,” said the Maple Leaf Sports and Entertainment President and CEO, who’s been on the job since April. 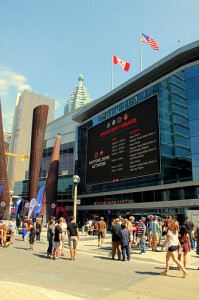 Leiweke’s all-inclusive speech addressed everything from his spate of firings at MLSE, to the ticketing industry, the newly managed Forum in Inglewood, Calif., Irving Azoff’s deal with Madison Square Garden Chairman James Dolan and the possibility for the relocation of an NFL franchise — to Toronto. How long does it take to decide who gets a Final Four? Well over a year. The NCAA announced Thursday that the bidding process for the 2017, 2018, 2019 and 2020 Final Fours has begun. The winners of those four bids will not be announced until November of 2014, though any cities that want in on the festivities have to submit their intention to bid by Oct. 11 — three weeks away. Official bids, including a budget, hotels/hotel rates and other criteria have to be submitted by Nov. 15. What Uses More Electricity: Liberia, or Cowboys Stadium on Game Day? After the first full week of NFL games, football fans are asking the big question: Does Cowboys Stadium consume more electricity than the West African country of Liberia? Many venue managers attribute the successful and safe execution of events – over and over again – to rigorous planning, strong communication, and excellent staff. Half of the challenge is leading up to the event – booking, promoting, and staffing it. The other half is the day-of challenge, the all hands on deck, also known as keeping guests happy and safe. Below are statistics from the IAVM 2012 Safety & Security Report, a comprehensive report on the various practices and procedures in place at venues, focusing on some of the practices that contribute to an informed staff and a seamless, safe event. If it’s time to reinforce your venue’s event execution plans or equip your staff with essential crowd management information and guest service resources, the International Crowd Management Conference is an affordable, dynamic way to do just that. ICMC 2013 programming has been developed for venue professionals by venue professionals, including industry leaders from AT&T Stadium, MetLife Stadium and Starlight Theatre. The sessions are built around the Guest Services Professional (GSP) program, focused on equipping you to develop and implement outstanding guest service plans. Learn more about ICMC 2013, taking place November 10-13, 2013 in San Antonio, Texas, at iavm.org/ICMC. Last week, we spoke with Howard August Wheeler, better known as H.A. or “Humpy” Wheeler, the former President and GM of Charlotte Motor Speedway, and one of the premier auto racing promoters and venue managers in the industry. 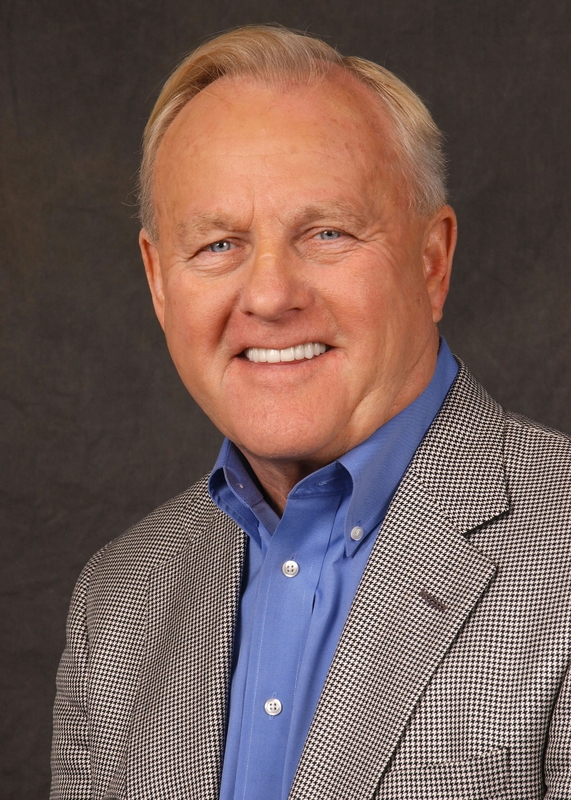 IAVM’s venue managers attending the upcoming International Convention Center Conference, Oct. 3-5 in Charlotte, NC will have the pleasure of hearing Humpy give the opening keynote at the conference. We wanted to take a few minutes and get a “sneak peek under the hood” before the conference begins. With two weeks left before registration closes, there’s still time to make your plans and hear Humpy in person. It’s certain to be an amazing experience you won’t want to miss. You may be a bit biased having worked in Charlotte, but if you had to choose your favorite speedway/venue in the world where would that be and why? Humpy: My favorite track was one I ran in my twenties — the Robinwood Speedway in Gastonia. Built for midgets, it was a very high banked, fast quarter mile with great red clay. We ran inexpensive stock cars and filled the place every week. The action was tremendous. Unfortunately, its success spelled its doom because we blocked the road in front of the hospital an hour before and after the races. I wish I could duplicate it now. For what I call “big time” tracks I guess I like Richmond because it is smaller — 3/4mile — and tight with plenty of action. Daytona and Talladega are also great action tracks. What amenities do you see as being the most critical to a good customer experience whether it’s at a race, in a stadium or even in a convention center? Orton Entertainment has announced the appointment of Dana Stoehr as General Manager of The Craneway Pavilion at historic Ford Point on the waterfront in Richmond, effective September 16. Stoehr brings over 20 years of event experience to The Craneway Pavilion, having spent the past 7 years as the Assistant General Manager of the San Mateo County Event Center, where she demonstrated particular expertise in attracting new events to the venue and created successful partnerships with event producers, local community organizations, city, and county officials. Prior to that, Stoehr was the Events Sales and Services Manager for the Alameda County Fair, where she designed a modern events department and implemented marketing strategies to expand new business development for the organization. In both companies, Stoehr was a catalyst for double-digit revenue growth. 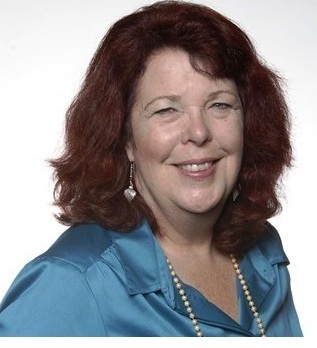 Just this August, Stoehr, an IAVM member since 2004, was among 14 venue industry professionals worldwide who received their Certified Facilities Executive (CFE) designation from IAVM during VenueConnect 2013 in New Orleans, LA. CFE applicants are rated on their experience and accomplishments in public venue management. Managers who earn the CFE designation are recognized, by those inside and outside the industry, as experts in their profession. Stoehr currently serves on the IAVM Region 7 Board of Directors for the West Coast as the Assistant Regional Director.